The Womens Kakisa Glove from Picture has 40g of Thinsulate insulation packed in to keep your hands toasty warm in the coldest of conditions. 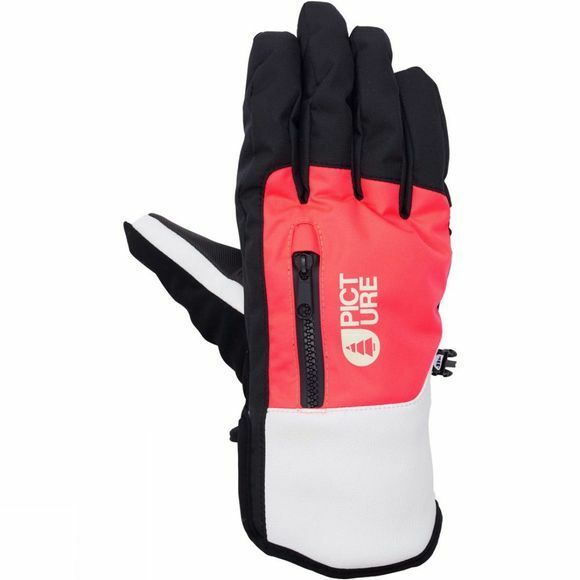 The gloves are waterproof and breathable so are sure to keep your palms warm this winter season. Picture stay true to their roots with Recycled Polyester making up a portion of the fabric. A grippy rubber palm and easy-to-use Velcro strap ensure this product doesn’t just look stylish, it has a high level of functionality too.